Previously published as the hugely successful Leisure Arts, these Art Handbooks are being reissued in a handy format with beautiful new covers and the same high quality content. Learn how to capture the beauty, luminosity and sheer beauty of watercolours with this easy-to-follow step-by-step guide. 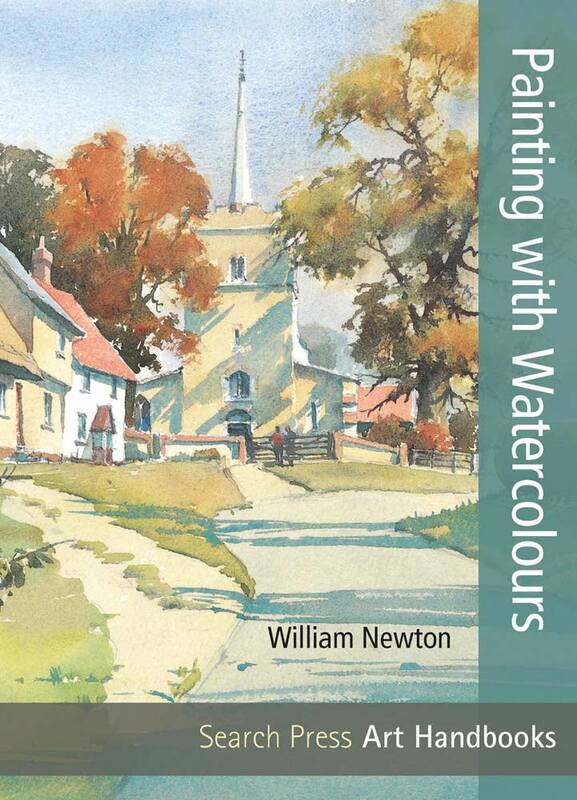 William Newton provides an inspirational and practical guide to painting beautiful watercolours and shows how to capture the exciting qualities of this wonderful medium. Using over 60 step-by-step photographs he illustrates all the basic techniques, explaining how to create transparent washes, luminous colours, light, shade and atmosphere. The book takes you through all the stages of painting a picture, from simple brush strokes to final details. Whatever your skill level you will be able to develop your own style using the demonstrations and exercises featured in these pages. Watercolour is the most popular medium. A good basic introduction to watercolours. William Newton is a full-time professional artist. He paints almost any subject and works in most mediums, although specialising in watercolour and oil. A practising art tutor, with many years experience of teaching both adults and children, his paintings are held in collections all over the world. Previously published as the hugely successful Leisure Arts, these handbooks have been re-issued in this handy new format with beautiful covers and the same high quality content. All have easy to follow guides to creating beautiful pictures in oils, pastels, watercolours and acrylics with step-by-step photographs. Readers will be painting skies, landscapes, flowers and animals in no time at all. Learn about all the materials you need, how to start, and techniques for handling all four types of paint. The size of the book is A5, (my favourite size) and inspiring to flick through. The materials needed page is relatively near the front of the book, so you can get your supplies together quite quickly before seeing all of the inspiring projects that you will want to get started with as soon as possible. I like how the handbook is full of very helpful information, such as, (the using colour section) it shows for example there are different types of blue, not just one blue, but many. 4 are shown in the book Winsor blue, French Ultra marine, Cerulean, and cobalt. The mixing colour page shows you a painting, and what colours were used for each area, this for me, is very helpful. Then the book moves onto introducing you to basic techniques, graduated washes, overlaid glazing, dry brush work and much more. The first project is all about understanding tone. Using just one colour, (Sepia) is the colour used in the book, but you could use any one colour you have. Darker colours work better though. William Newton even reminds you to fix your paper to a painting board before starting your project, this is useful for me, as I am always too eager to get started. It is a lovely simple project to get you started and one that you will have a lot of fun experimenting with different (one) colours, the same picture using different (one) colours if that makes sense. The price is £4.99 which is a great price for this range of inspiring handbooks. This is a lovely little book providing inspiration and guidance for watercolour artists. It is part of a new series of Art Handbooks from the publisher. William shows how to capture the unique qualities of watercolour. There are techniques, step by step paintings and finished paintings to urge you to try this wonderful medium.